This statistic presents the results of a survey among U.S. adult consumers. 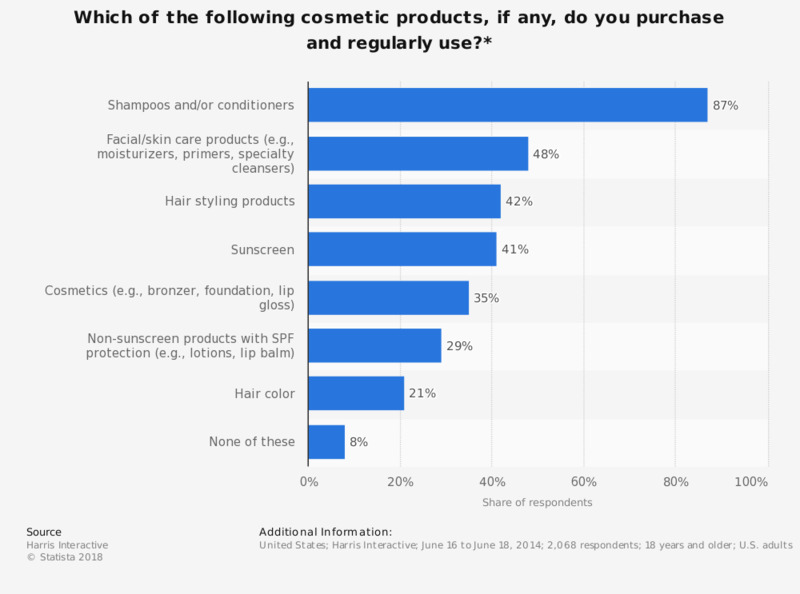 The survey was fielded online by Harris Interactive in June 2014, asking the respondents which cosmetic products they purchase and regularly use. Some 42 percent of U.S. adults indicated that they purchase and use hair styling products on a regular basis. * The original question ran as follows: 'Which of the following, if any, do you purchase and regularly use'?